When the first iPhone device was released back in 2007, the only way to run software on it was via the Web applications in a browser. You were quite limited to the applications developed by Apple and it was very annoying. However, once Apple released the iPhone 3G and the iTunes App Store in 2008, all iPhone users were able to choose from thousands of applications. Now, there are over 30000 applications in the iTunes App Store and there are more and more applications being released every day. Nowadays, people tend to jailbreak the iOS on their iPhones mostly because the App Store is quite limited to some applications. There are third party applications that Apple has decided to not allow in the App Store and because of this, the developers of these applications had to find a way to host them somewhere else. However, after jailbreaking the iOS on your iPhone, you will have access to Cydia (the unofficial App Store) that hosts a lot of tweaks and applications that you will surely love using on your mobile device. 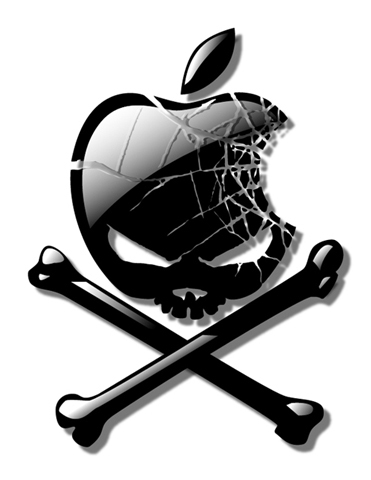 Jailbreaking your iPhone doesn’t mean that you will unlock it. In actual fact you are hacking the iOS that your iPhone runs on, allowing you to open up the phone’s firmware. Once you open the device’s firmware, you will be able to install third party applications. ­The firmware is a code that has the operating instructions for hardware. For example, it controls what features are enabled, what security patches are needed and especially how your iPhone should function. This is why Apple updates the firmware very often, in order to fix all the bugs that they find. When you jailbreak an iPhone, you modify or patch the iBoot along with the operating system kernel. In other words, you will be unable to do the digital signature checks and see if a specific software is allowed to run or not. Keep in mind that jailbreaking your iPhone differs from one iOS device to another and it depends on what firmware version it runs on. At the same time, it matters if your computer runs on Windows or Mac. In order to jailbreak your iPhone, you will need to install the latest version of iTunes on your computer, a jailbreak program and have some free time. HINT: You will also need to know what firmware version runs on your iPhone. We’re not going to give you download links here, but if you Google it, it’s not hard to find the latest iTunes version and a jailbreak tool. Two of the most used applications to jailbreak iPhones are PwnageTool and QuickPwn. Once you jailbreak your iPhone, you will be able to use Cydia (the unofficial app store) to download and install very useful tweaks and applications. ­This is one of the main questions that everyone is asks before jailbreaking an iPhone. The problem is that when you decide to jailbreak your iPhone, you should know that there is a risk that you could damage it. However, the iPhones can also be restored to their “out of the box” state, by reinstalling the original firmware. You should know that all the applications that you buy/install from Apple’s App Store are manually verified by the employees. Unfortunately, when you install unverified third party applications from Cydia, you will never be sure how secure they are. You could install a malicious application that will mess up your iPhone, but at the same time, it can be an awesome tweak/application that will help you a lot. Currently, there are a lot of people who have their iPhones jailbroken and most of them never go back to the original firmware. Actually, we assure you that after you jailbreak your iPhone and you use a few tweaks/applications, you will probably never want to install the original firmware on your mobile device. Currently, there are a lot of applications that are added to the Cydia store, and the developers are continuously working on improving them. You may be worried if you want to jailbreak the iPhone for the first time. However, as long as you follow the instructions that these tools come with, you should not have any problems. If you don’t feel ready to do it, try to find someone who can do it for you. If you don’t have anyone to ask, just read more about how to jailbreak your iPhone and when you feel ready, give it a try. Do you have your iPhone jailbroken? Do you think it is worth jailbreaking an iPhone?